But, not to be outdone, today’s Christians face an onslaught of both implicit and explicit influences on their faiths to move in a direction that borrows mystical practices from early church traditions (Roman Catholic mystics – “saints”) to more not-so-subtle mystical practices from Eastern religions (e.g. Buddhism, Hinduism…etc.). The New Age also includes many of these perspectives. The editors at Lighthouse Trails put out a recent commentary on Bibliolatry and how it has become a popular view within the Contemplative movement (i.e. mystical) throughout Christianity today (especially with Evangelicalism). The quotes in their article from popular authors/speakers/leaders are, in my mind, quite shocking (although I am not surprised anymore). They reveal not only what these folks believe but also what the particular institution they are a part of is promoting to their students, theological journals, writings and books, future church pastors, leaders..etc. I took the liberty of highlighting names and underlining portions of the article. => Instead of diving into mystical practices, if you desire to know God and truly understand Him along with a desire for God to talk to YOU – open up your Bible and pray for His Holy Spirit for an understanding of His word (2 Timothy 2:15, 2 Timothy 3:16-17). Answer: The term bibliolatry comes from combining the Greek words for Bible and worship. In a Christian context, simply stated, bibliolatry is the worship of the Bible. Typically, the accusation of bibliolatry is used as an attack on those who hold to the inerrancy, infallibility, and supremacy of Scripture. It is often employed as an inflammatory and derogatory attack on believers who hold to “sola scriptura” and/or a literal interpretation of the Bible. It is important to note that the charge of bibliolatry does not claim some Christians literally bow down before a Bible and worship it, as if it were an idol. While there may be some strange cult out there that literally worships the Bible, that is not what bibliolatry is referring to. The accusation of bibliolatry is that some Christians elevate the Bible to the point that it is equal with God, or to the point that studying the Bible is more important than developing a personal and intimate relationship with Jesus Christ. Is the charge of bibliolatry accurate? 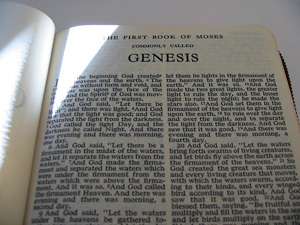 First, it is important to understand what the Bible says about itself. Second Timothy 3:16-17 declares, “All Scripture is God-breathed and is useful for teaching, rebuking, correcting and training in righteousness, so that the man of God may be thoroughly equipped for every good work.” So, if the Bible is “God-breathed,” and “God does not lie” (Titus 1:2), then every word in the Bible must be true. Believing in an inerrant, infallible, and authoritative Bible is not bibliolatry. Rather, it is simply believing what the Bible says about itself. Further, believing what the Bible says about itself is in fact worshipping the God who breathed out His Word. Only a perfect, infallible, omnipotent, omnipresent, and omniscient God could create written revelation that is itself perfect and infallible. Do some believers emphasize the Bible to the point that other things of importance—such as tradition, nature, reason, and experience—are neglected? Yes. However, the Bible, based on what it says about itself, must be a higher authority than any of these and must, in fact, be the authority against which they are judged. God would never contradict Himself by revealing something in nature, reason, or experience that disagrees with what He revealed in His Word. The Bible is not to be worshipped, but the God of the Bible is to be worshipped. To ignore what God has revealed about Himself in His Word and instead elevate the subjective “revelations” of nature, reason, and experience is idolatry (Romans 1:18-25). The Bible is not God. The Bible does not contain all of God’s knowledge. While the Bible gives principles that apply to every situation, it does not explicitly give us all the information we need to daily live our lives. Part of the problem is that some Christians take the saying “the Bible says it, that settles it, I believe it” to extremes. While the statement is absolutely true and should reflect how we view the Bible, God’s Word does not instruct us to abandon our brains or ignore our experiences. True reason is completely compatible with Scripture. Experience can help us in our understanding of Scripture. While the Bible must be our authority, we must also use it to confirm and verify the conclusions we reach with our God-given reason and God-directed experience (1 Peter 3:15). Believing what the Bible says about itself is not bibliolatry. Rather, accepting God’s Word for what it claims to be is in fact worshipping the God who breathed it. I wish I could say that disciple-making is an emerging trend in the church today, but I don’t think it really is. It is really not that complicated. Think about what the last words that Jesus proclaimed while walking on the earth before his ascension into heaven. Would it be unreasonable to assume that someone’s last words before departing would carry some level of significance and importance? Jesus commissioned us, the church, to GO and MAKE DISCIPLES. Regardless, it may be the most important hole in American Christianity from a biblical point of view. The effects of this hole, can result in more people moving away from the Faith given to us from God’s word. The void gets filled with whatever the latest trends are spreading within the church. Unfortunately, we are usually not talking about replacing one aspect of our faith with a different aspect of our faith. Rather, many in the church today seek out something that is NEW, AUTHENTIC, BOLD, ATTRACTIVE TO THE YOUTH,….etc. Descriptions used to describe these include words such as MISSIONAL, INCARNATIONAl….etc. In some cases, people/churches don’t even teach, train, participate…etc. in discipling others. In Alliance Life magazine, C&MA Pastor John Soper wrote an important article on Disciplemaking. It is good to see a focus on one of the most important aspects of our faith – yet one that gets overlooked by the church – many times nonintentionally because it is assumed to be taking place by church activities such as sitting in on a Sunday sermon. But, that doesn’t provide all of the educational teaching aspects of learning to live out your faith as well as the mentoring relationship with engaging in your Christian walk with other Christians. Unfortunately, there are also intentional reasons that groups today either manipulate core principles of discipleship to fit their own contemporary perceived view of what they think Christians “should” be doing today. New words, new descriptions, new catchphrases, new fads…etc. sweep through the church such as “missional” and “incarnational” – commonly echoed in Liberal, Progressive and Emerging Church groups. The focus goes from being a biblically based approach to growing in the faith to a glorified social program out in a community and away from the church. Pastor Soper his on several key aspects of discipleship and how the leadership in the church can take key steps to follow through – in some cases, they need to change their focus back to what is simply stated in Scripture. That can be difficult to do for some today with all of the Mega Church growth strategies, techniques and practices to reach the Millenials, being missional…..etc. “There are other tools that God uses to shape our lives—special experiences that He sovereignly brings into our lives and people who arrive at just the right moment with just the right message—but the primary tools the Holy Spirit uses to shape and form us are the Word of God and prayer. My primary role as a disciplemaker is then to get men and women into the Word of God—the supernatural Word that is “living and active [and] sharper than any double–edged sword” (Heb. 4:12). I firmly believe that when men and women engage the Word of God with open hearts and open minds, it always changes them. “Are you guys really sure this is what Jesus told you to do?” That question was posed by an atheist named Matt Casper who had been hired by Jim Henderson to visit several well-known American churches with him. Henderson wanted to get a fresh look at church through the eyes of an unbeliever. Casper’s question came during a debriefing session after their visit to one of America’s well-known mega-churches. I think it’s a good question. After all, Jesus didn’t tell us to build big churches. He didn’t tell us to build any kind of churches. (I seem to remember Him saying that He would do that.) He told us instead that we should “make disciples . . . baptizing them in the name of the Father and of the Son and of the Holy Spirit, and teaching them to obey everything I have commanded you” (Matt. 28:19–20). But after nearly 45 years of ministry, I have sadly concluded we are not terribly proficient at doing that. Our churches are busy places full of life and activity. Some of them are large churches doing many good things and serving both believers and a host of men, women, and children who have not yet decided to become Jesus followers. But we are not producing very many fully devoted “disciples” of the sort that were to be found in the first-century church that Jesus left behind—people who identify with Christ in baptism, who obey His commands, who share His values and priorities, and then proceed to change their world for God by reproducing themselves in the lives of others. I have no special methodology to propose. In fact, I am fairly certain that “one size” does not “fit all” in this business of making disciples. But I can perhaps offer a few preliminary observations that may in part explain why, despite all the advantages that our North American churches possess, we have not done a better job of carrying out Christ’s LAST command. First, to be effective in the task of making disciples of others, I must be a fully devoted disciple myself. It is, after all, difficult to lead someone else to a place that we have never ourselves visited. Two of the most challenging verses in all of the New Testament are Luke 6:39–40 in which Jesus says: “Can a blind man lead a blind man? Will they not both fall into a pit? A student [disciple] is not above his teacher, but everyone who is fully trained will be like his teacher.” If the people I disciple do not look as much like Jesus as they ought, the likely reason is because they look too much like me. If there are areas of my own life in which I have found it difficult to obey the commands of Christ or perhaps even refused to follow Him, I will never be able to say to those whom I have been called to lead: “Follow my example as I follow the example of Christ” (1 Cor. 11:1). Second, it’s possible that in my preoccupation with building a healthy (and a larger) church, I have neglected the more important task of making disciples. Growing a church, at least in our North American context, is essentially a “large group” activity, but making disciples is, by its very nature, a much more selective process. In Robert Coleman’s book – The Master Plan of Evangelism, he makes the important point that while Jesus never neglected the masses, He clearly focused on the few. 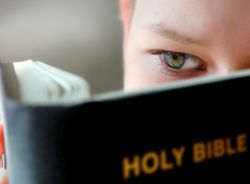 UNTIL men and women read and learn the SCRIPTURE for themselves, they can never become MATURE disciples. Discipleship is all about dynamic life transformation. The most obvious and lasting “fruit” in terms of changed lives that I can point to in my nearly five decades of ministry are the years my wife and I spent planting new churches. As I reflect upon those years of blessing, I now suspect that one reason for this is that there was no “crowd” to distract us from the primary task of making disciples. Third, I have come to understand that even though my focus as a shepherd needs to be on the great task of making disciples, the transformation of a human life is a task that requires a supernatural act of the Holy Spirit. In the end, He is the disciplemaker, not me. I cannot effect the changes God wants to make in people’s lives, but I can teach them how to use the two most powerful tools that the Holy Spirit uses to form them into the image of Christ. Those tools are the WORD OF GOD and PRAYER. There are other tools that God uses to shape our lives—special experiences that He sovereignly brings into our lives and people who arrive at just the right moment with just the right message—but the PRIMARY tools the Holy Spirit uses to shape and form us are the WORD OF GOD and PRAYER. My primary role as a disciple-maker is then to get men and women into the Word of God—the supernatural Word that is “living and active [and] sharper than any double–edged sword” (Heb. 4:12). I firmly believe that when men and women engage the Word of God with open hearts and open minds, it always changes them. My primary goal as a disciple-making pastor will always be to get my people into the Word of God. Then I can count on the Holy Spirit to do something supernatural in them. There is more to being a fully devoted follower of Christ than simply knowing what the Bible says, but until men and women read and learn the Scripture for themselves, they can never become mature disciples. It is likewise a certainty that they cannot become “like” Christ until they learn how to pray. That will not happen if I teach them about prayer, and it won’t happen even if I pray for them, though that too must be a part of my task. In the end, they will learn to pray as I pray with them both corporately and individually. I have learned in recent days to ask myself and other pastors some rather telling questions: How much time do you spend praying for your people? And how much time do you spend praying with your people?